This piece has a long history and has been called by many names. Some of the earliest names for this piece are Champion and Dabbabah, but these two names are currently the accepted names for two other pieces. The Champion is a piece in the commercial variant Omega Chess, and the Dabbabah names the historical piece it was more commonly used for. The three most widely used names for this piece are Empress, Chancellor, and Marshall. Empress is the standard name for the piece among fairy problemists. This name is used as the favored name in both Dickin's Guide to Fairy Chess and The Oxford Companion to Chess. The rationale behind this name is an analogy with the Queen. 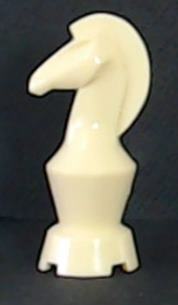 This piece, the Queen, and the Bishop/Knight compound are the three main compounds of the three simple pieces in Chess, the Rook, Bishop, and Knight. The idea is that, like the Queen, all three of these compounds should be named after female royalty. Since the Rook is stronger than the Bishop, this piece was considered the stronger of the two compounds besides the Queen. So it got the name Empress, while the name Princess went to the Bishop/Knight compound. One difficulty with the name Empress is that it suggests that the piece is more powerful than the Queen, whereas it seems likely that the Queen is the more powerful of these two pieces. In fact, because of the suggestion that an Empress should be more powerful than a Queen, John William Brown gave the name of Empress to the Knight-Queen combination usually known as an Amazon. The name Marshall, or Marshal, dates back to 1840, when L. Tressan used it in The Sultan's Game. 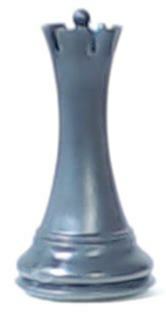 The name Chancellor dates back to 1887, when Ben Foster used it in Chancellor Chess. In the 20th century, Jose Capablanca made use of both names. He first used the name Marshall, then later changed to using the name Chancellor. Both names have also been used in well-known commercial variants. Christian Freeling used the name Marshall in Grand Chess, and Ed Trice used the name Chancellor in Gothic Chess. Although both names have enjoyed popularity during the last century, there seem to be a few reasons for favoring the name Marshall. First, the name Marshall has more consistently been used for this piece, whereas the name Chancellor has more frequently been used for other pieces. Capablanca used it for the Knight-Bishop compound, and Sidney LeVasseur has used it for another piece in a commercial variant called Kings Court. Second, the letter C is commonly used for other popular pieces, such as the Camel, the Cannon, and the Champion, not to mention the Cardinal, the variant piece most frequently paired with this piece. Given the popularity of this piece, it would confuse things to use the letter C for this piece too. Etymologically, the name Marshall fits a piece with Knight moves better than Chancellor does. Marshall literally means horse-servant, being related to the English word mare, meaning a female horse. One especially relevant definition of Marshall is cavalry commander. In contrast, the name Chancellor has nothing to do with horses. It comes from a Latin word literally meaning doorkeeper, and it generally refers to a head of state or to a college president. It also has some ecclesiastical definitions, which Capablanca may have had in mind when he gave the name to the piece he also called the Archbishop. Finally, for whatever it's worth, Marshall is the older name. This table gives an overview of the history of this piece. The Marshall may move like a orthodox chess Rook, or like a orthodox chess Knight. The blue circles indicate the leaping moves of a Knight, while the green circles indicate the Rook move. Written by Fergus Duniho and David Howe. The Meta-Chess move map was reprinted from Meta-Chess, copyright 1997, by permission of John William Brown. Movement diagram and piece icon created from Zillions of Games. Chancellor. Fairy Chess name for Rook+Knight compound. For what it's worth, Murray in chapter XVI (p. 346) describes such a game, but it is modern. The description occurs directly after a description of a 14th C. shatranj-al-kabir, so perhaps a mistake was made. This page says the piece first appears in a Shatranj Al-Kabir possibly from the 14th century. That name has been used a lot. Does anyone know where that claim is from? Is there a particular manuscript it's found in? Shatranj al-Kabir is the name of several Eastern variants of chess; you can read about them in Murray's History of Chess, Chapter XVI. I don't see any form with a rook+knight combination earlier than about 1800.